I am the hero of my life! The I Am The Hero of My Life Foundation was created in 2013 by the four founding members of Groupe Karaté Sportif. This foundation is the outcome of a dream: to help as many children as possible to become a better person. Their mission: to develop a psycho-educational approach through sport and to benefit as many children as possible. To achieve this, the Foundation was set up to fund the program and enable it to be presented free of charge to pre-school and school-age children. Another component has since been added to their mission: to offer families in need financial support so that their children can participate in Karaté Sportif classes.  Karaté Sportif schools have been in operation since 1992. Through these years, the four founders have developed an innovative program for children and their families, a sports program including a human development component. Their unique approach has attracted Karatekas and, over the years, several Karaté Sportif schools have been established. With the creation of some thirty schools, a network has begun to develop in the province of Quebec. In order to continue reaching as many young people as possible, the founding committee of Groupe Karaté Sportif designed the “I am the hero of my life” program. The mission of this program: to reach children in their community in order to provide them with the psycho-educational tools of Sport Karate. Another wish took shape at the same time: to create an alliance between children and the elderly. To achieve this, the four founding members of Groupe Karaté Sportif invited the eldest members of the Karaté Sportif schools, already Black Belts, to get involved in the Foundation. And that is how the Conseil des Sages was created and its President, Mrs. Jacinthe Higgins, is still as devoted as ever, as is her team of all volunteers. Our Foundation’s program comes in the form of a free course offered in educational and health settings. The mission of this course is to introduce each child to the benefits of sports and healthy lifestyles. Its very practical approach enables young people to integrate strategies to control their emotions and anger, with simple and concrete solutions. They also learn the rules of “Bullying Control” and the “3 Rules of Concentration”. There are also topics of personal discipline, perseverance, motivation, politeness and self-confidence. Starting in the fall of 2015, a free training guide will be given to each student who participates in our course. Its contents review the major topics covered in the courses and will enable children and their parents to put our training into practice at home! Since the Foundation began operations in December 2013, the course has been offered in over 80 elementary schools, 3 health institutions and 2 community organizations in the Lower Laurentians, Lanaudiére, Laval, Greater Montreal, South Shore and Outaouais regions. A new generation of children with healthy lifestyles and an interest in sports is in the process of emerging! We are also very pleased to have provided 30 families with financial sponsorship: Due to unfortunate family circumstances, young people who had been practising sport karate for years could no longer continue. But thanks to the Foundation’s financial contribution, they were able to go on reaping the sport and environment benefits of their Karaté Sportif school. *Some information in the testimonials has been modified to respect the anonymity of our clients.